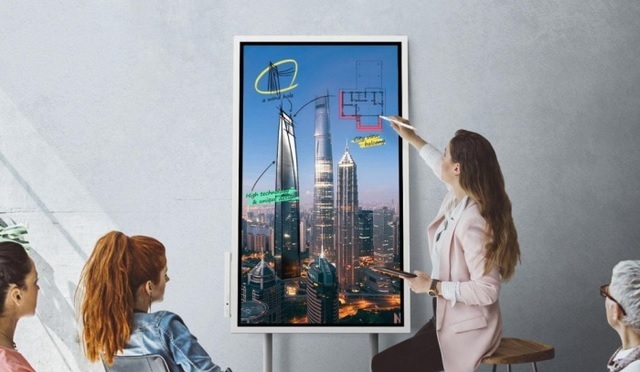 Samsung has launched its digital whiteboard – the Samsung Flip – in India and has priced the interactive productivity display targeted at office work at an eye-watering Rs 3,00,000. Samsung unveiled the Flip digital display as a competitor to Microsoft Surface Hub and Google Jamboard at the CES 2018 event earlier this year and has now brought it to the Indian market. Samsung Flip features a 55-inch edge LED display with a 3,840×2,160 resolution and a viewing angle of 178-degrees for a superior viewing experience. The device is powered by a 1.7GHz CA72 processor and 3GB LPDDR4 RAM, while a two-speaker system with 10W output handles the audio department. 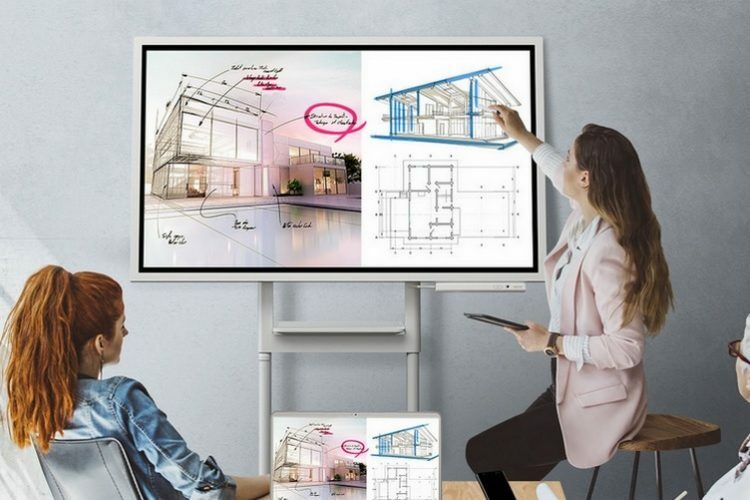 Samsung’s digital whiteboard is ideal for collaborative work as it allows up to four people to jot down on the display simultaneously and cast the screen of their PC and smartphone on it. “We look forward to building upon this technology to help business work better, smarter and quicker. Flip’s intuitive interface is specifically designed to be user-friendly and allow for timely, uninterrupted conversation. Convenience is our overarching promise”, said Samsung India’s VP of Consumer Electronics Enterprise Business, Puneet Sethi. Samsung Flip’s display can register touch inputs from a wide array of devices like styluses and normal objects like pencils and pens, thanks to the inbuilt passive touch technology, while palm gestures are used to erase the screen’s content. The device runs TizenOS and has an internal storage of 8GB, while connectivity is handled by NFC, WiFi, Bluetooth, and HDMI as well as two USB ports. The device ships with two touch pens and also comes with an optional portable stand which can support the interactive digital display in landscape as well as portrait orientation. The device also features Samsung’s Knox security feature to keep the files secure and allows users to store their files locally or share them online.